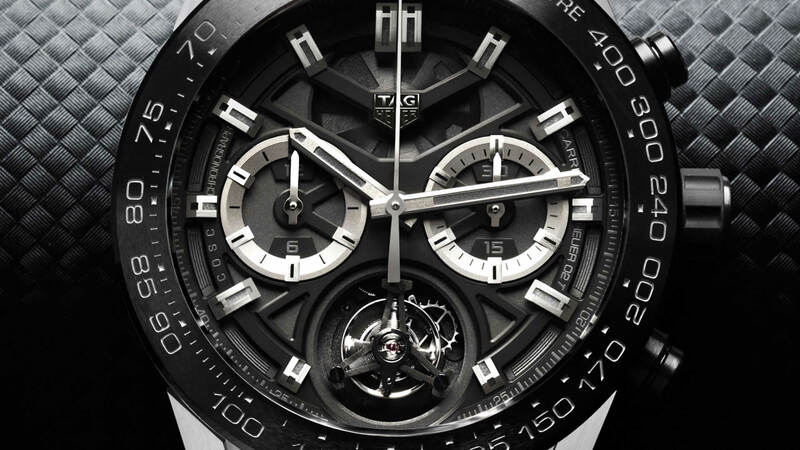 Being a symbol of the luxury timepieces dedicated to motorsports mostly, TAG Heuer’s new tourbillon chronograph symbolizes cutting edge technology, impeccable quality, highest performance, manufacture knowhow and undoubtedly the un-paralleled expertise of production processes and costs which have made it the one and only C.O.S.C. certified automatic chronograph with a Tourbillon escapement manufactured by the Swiss Watch Industry with a shocking price tag of under 15,000 CHF. 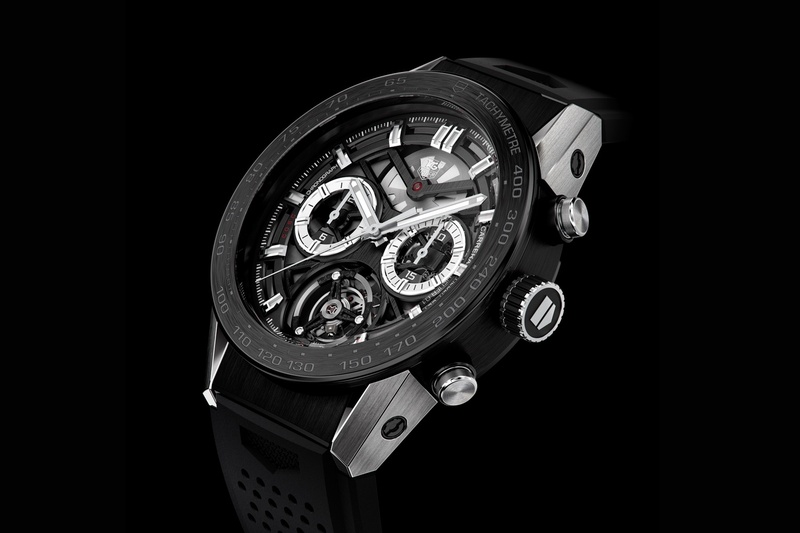 The collection also features a limited edition model named The Black Phantom which is limited to 250 pieces only and available with a 19.900 CHF MSRP. The timepiece is powered with the in-house Caliber Heuer-02T which beats at 28800vph and offers 65h power reserve when fully wound. Each movement is certified by Contrôle Officiel Suisse des Chronomètres (COSC) and underwent a testing period of 21 days. 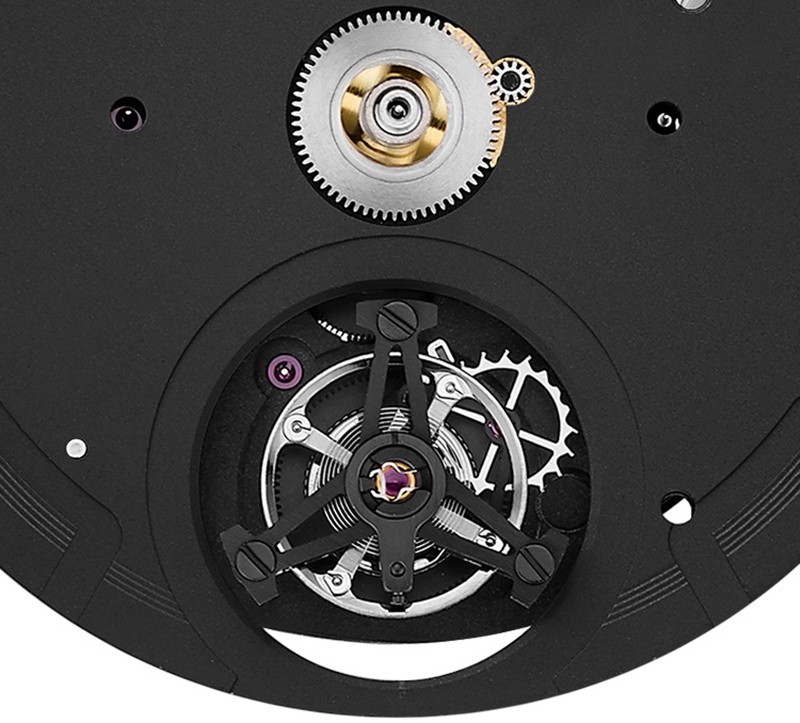 The movement features a unique technical lay out which allows a single barrel, the chronograph functions, the automatic winding mechanism and the flying tourbillon within a diameter of 32 mm. 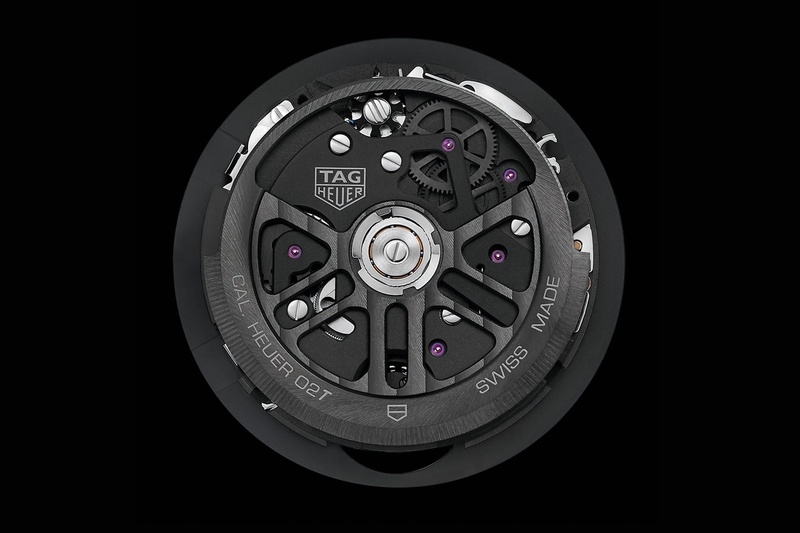 The new TAG Heuer Carrera Heuer-02T Tourbillon has the same technology with the previously released Carrera Heuer-01 model which features a modular construction of the 45mm case, allowing the brand to have a collection of different versions in terms of physical appearance. 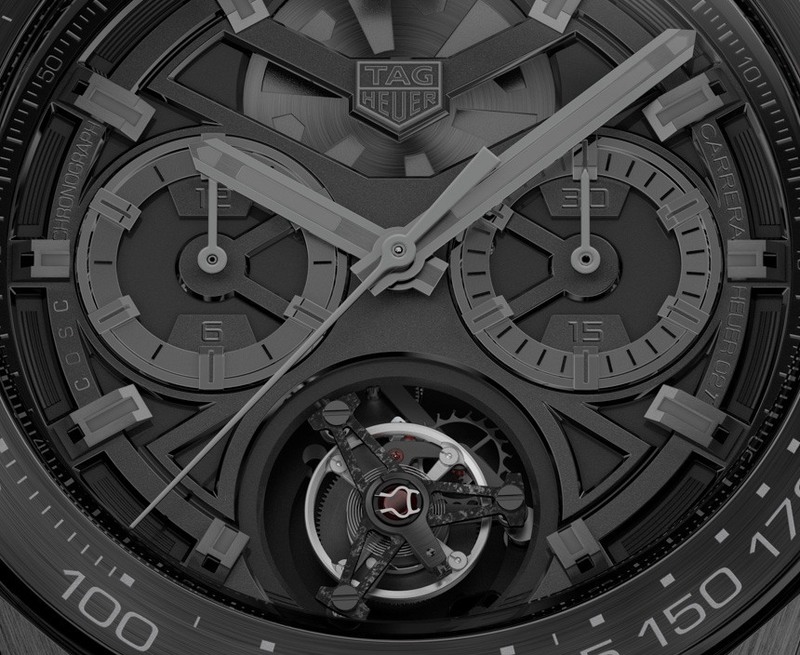 In fact TAG Heuer already announced a limited edition version with an all black lay out called the Black Phantom. The 45mm case sports 12 individual modules mainly formed in a central part, a central insert for lugs and a separated bezel. 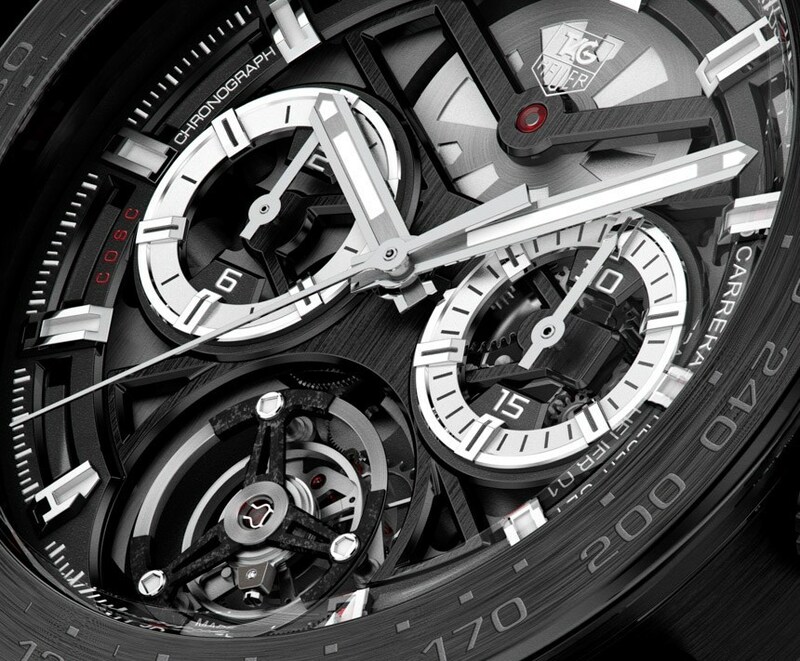 Again the new TAG Heuer Carrera Heuer-02T Tourbillon shares the same semi-skeletonized dial. The dial is transparent and employs a sapphire crystal with applied register tracks for the sub-counters and applied indexes, which allows the wearer to see the skeletonized bridges and plates of the movement. The main spring barrel can be seen at 12 o’clock position among several other wheels which are visible thought the sub-dials. 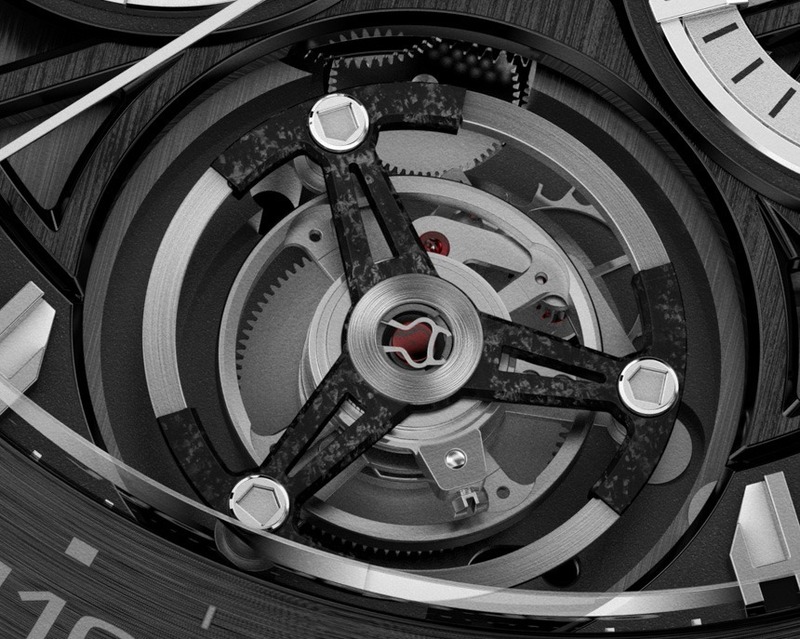 Undoubtedly, the real attention grabber of the dial is the tourbillon cage at 6 o’clock position. 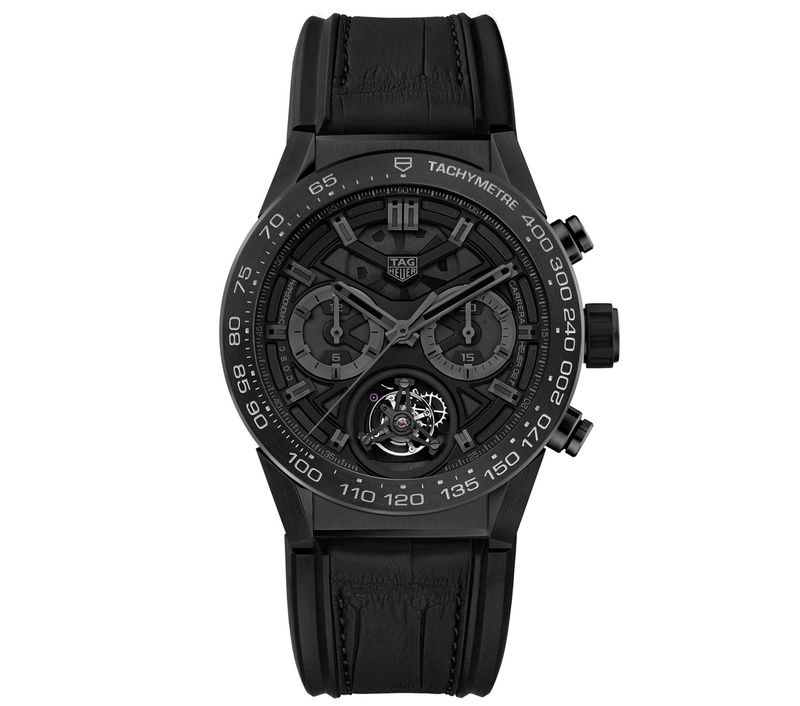 This new TAG Heuer Carrera Heuer-02T Tourbillon is an impressive watch especially with its surprising price tag. The watch is practically the most affordable, Swiss Made, in-house movement equipped tourbillon on the market and we are looking forward for Baselworld 2016 to get back to you with a full review soon..!